Tomorrow the short story collection celebrating the 40th anniversary of Star Wars titled From A Certain Point of View will be released. The book retells the events of A New Hope from the point of view of forty different secondary and background characters in the film. In addition, the audiobook will be released at the same time and it features some A-list actors reading some of the stories. 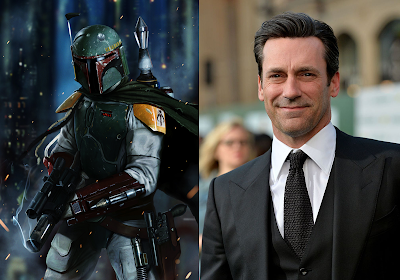 One such star is Jon Hamm (Mad Men, Baby Driver), who will read the story "Added Muscle" by Paul Dini (who wrote several episodes of The Clone Wars animated series). The story is written from the point of view of Boba Fett, who was added to the film in the film's special edition in 1997, as he aids Jabba the Hutt in intimidating Han Solo outside the Millennium Falcon in Mos Eisley. USA Today has released a preview of the audiobook featuring Hamm reading the story, which is written in 1st person from Fett's perspective. You can listen to it here. In celebration of the book's release, Lucasfilm is hosting a special, off site panel on October 5th during New York Comic Con where fans can hear from many of the authors who contributed to the book. The panel does require an extra ticket, which costs $45. However, this includes a copy of From A Certain Point of View with an exclusive cover. You can purchase your ticket here. 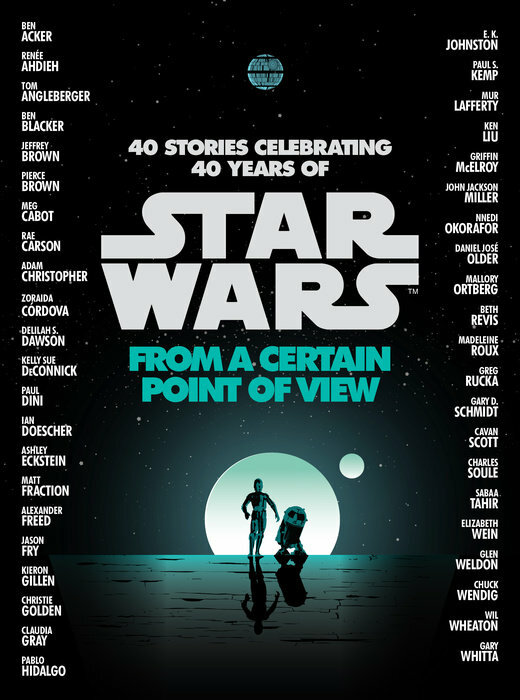 Star Wars: From A Certain Point of View hits bookshelves on October 3rd.